First of all I really wanted to say sorry for not being around. I just had nothing to write about and usually these months are a bit busy for me. I turned 20 on the 14th and it was a blast. So I come here today as a 20 year old and thats pretty awesome. Anyways my sister and I love watching the Carrie Diaries and we were inspired from it from the very first episode. 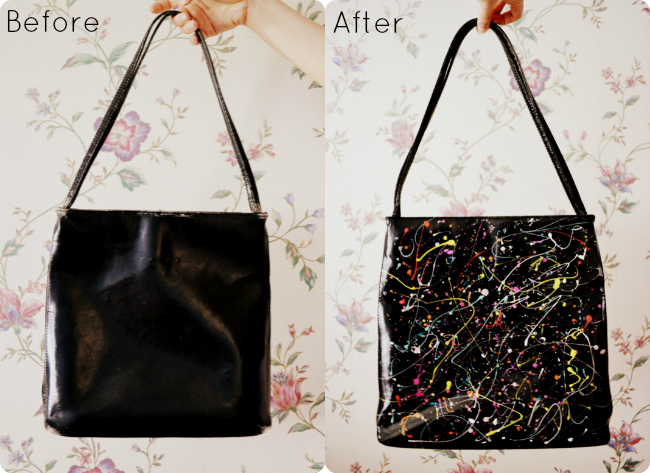 We loved the idea of decorating with nail-polish (like Carrie did with her mothers bag that got ruined a little with nail-polish) so we had this old bag and we turned it into a fashionable one. As you can see from the picture we just took a bunch of colors and splattered them across the bag and thats about it. I really love the new bag and I hope I can find an occasion for which I can use it.